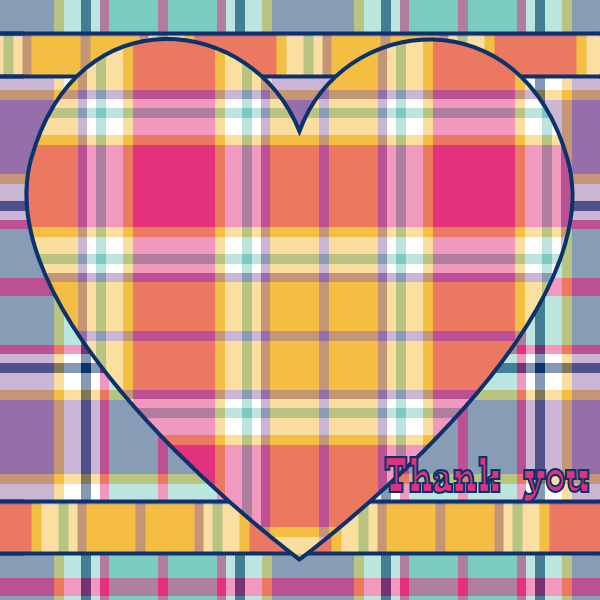 Christmas is over, and it's time to say thank you. 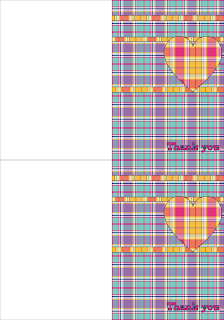 I hope you enjoy these thank you notes in a madras plaid. They are 5 inches tall and 3.5 inches wide, and the matching envelopes are 3.5 inches tall by 5 inches wide which is the minimum acceptable for the US postal service. The cards print 2 to one sheet of card stock, print the cards, cut them out, and score down the center line to fold the cards. Write your sentiment on the inside. The envelope works best printed on paper. 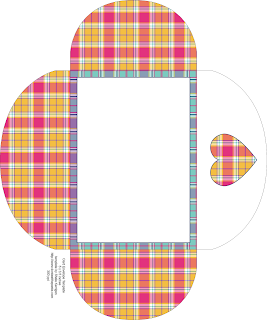 Print, cut out, and fold the side flaps in, then fold the bottom flap up and glue it to the side flaps. Insert the card then fold and tape or glue the top flap. Click on the images for larger versions. 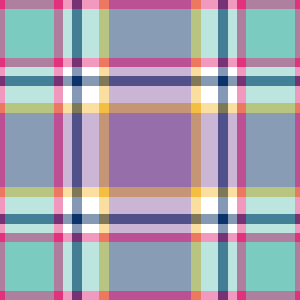 For this set, I made a pair of madras style matching tiles using colors that were inspired by Pantone's spring 2011 fashion color trend picks. 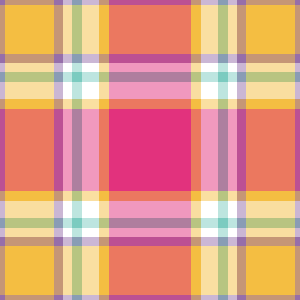 Here are the tiles for your own use. I hope your holidays were wonderful! 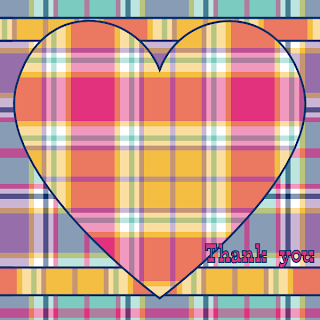 And thank you all!